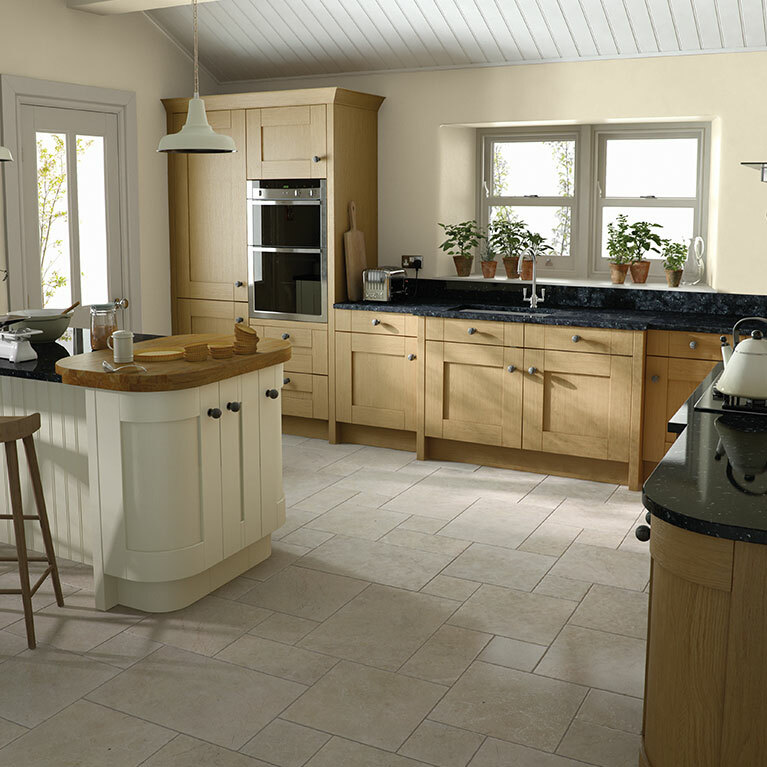 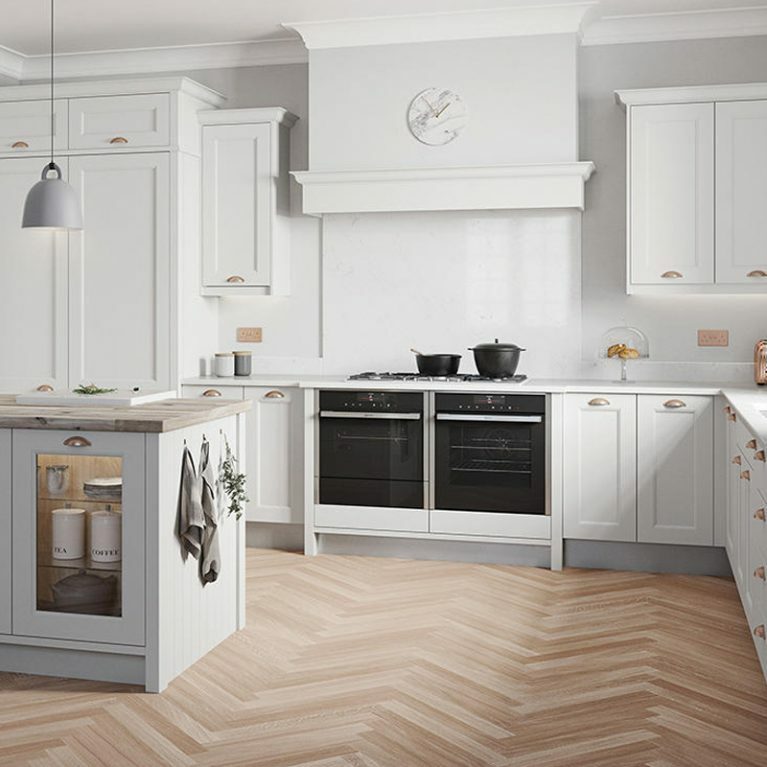 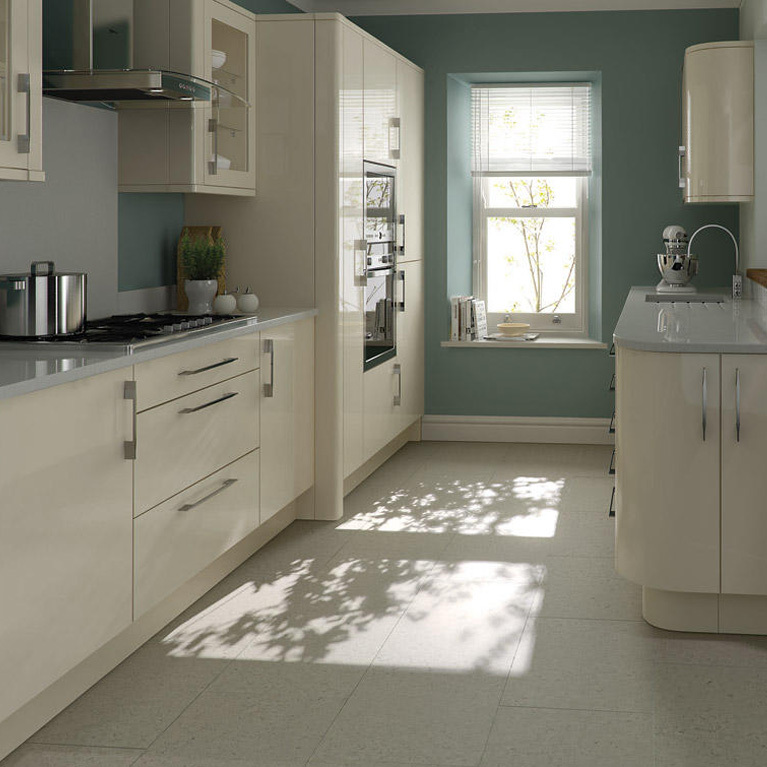 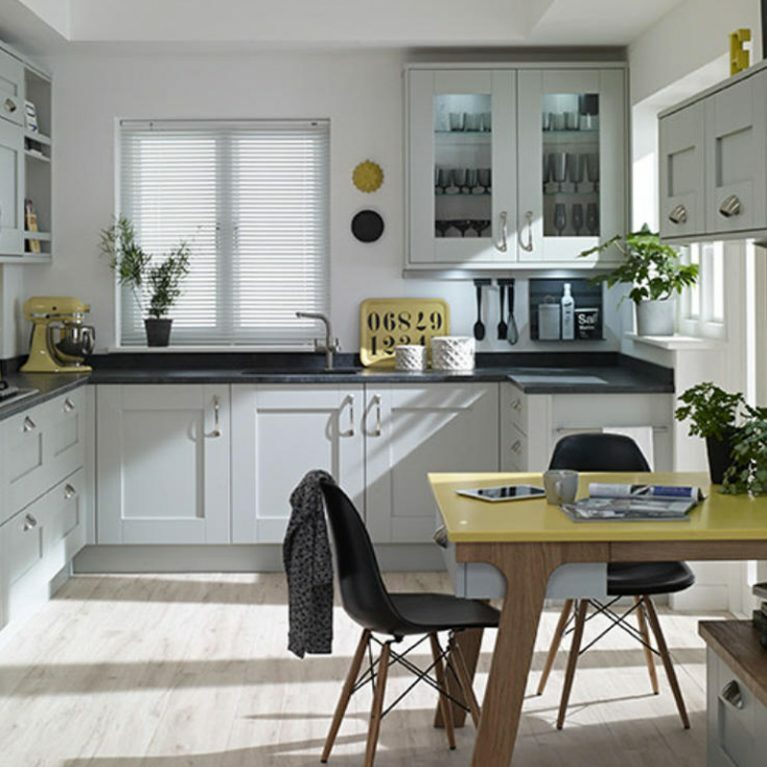 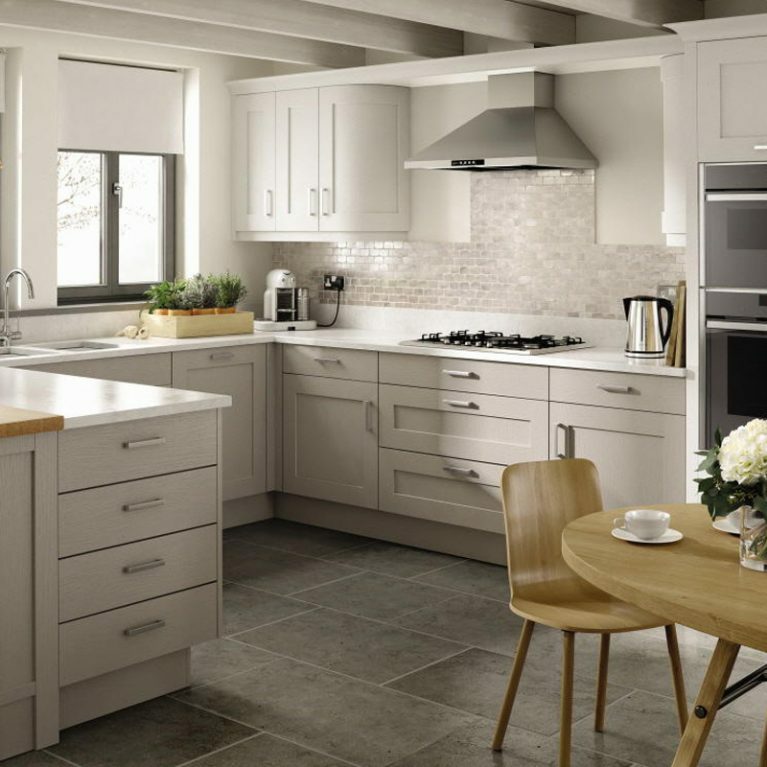 If you want to choose a kitchen design for your home that is light, bright and a little different to your more classic kitchen designs, then the Milbourne Sage might be just up your street. 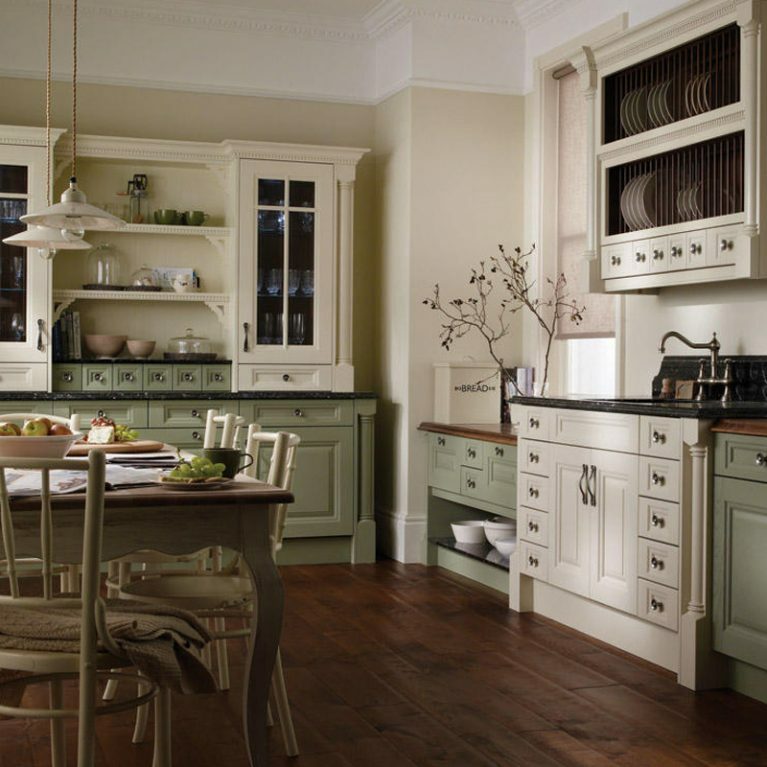 Sage is a stunning and subtle shade of green, which adds a contemporary twist to your more classic neutral colour palette. 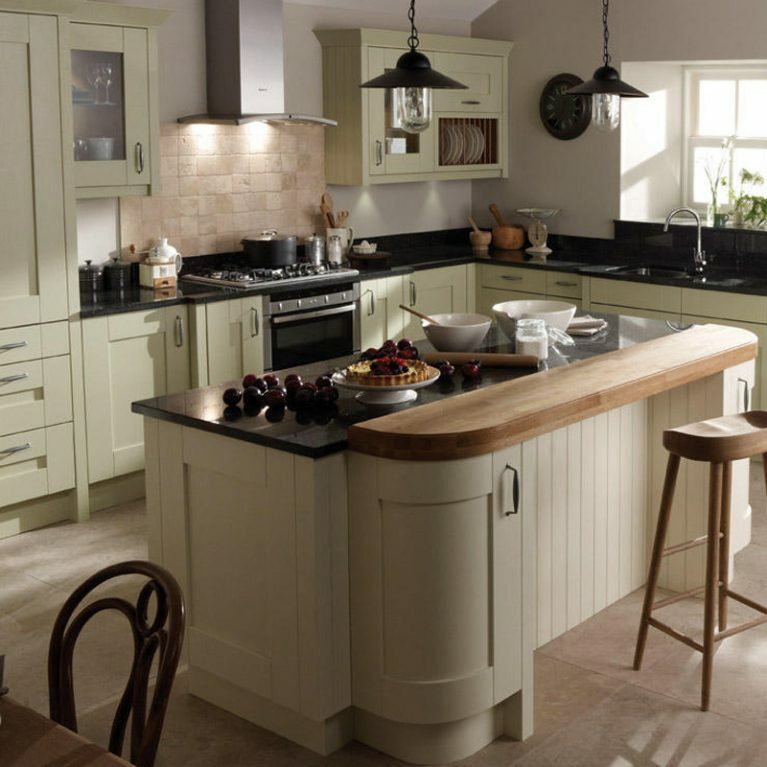 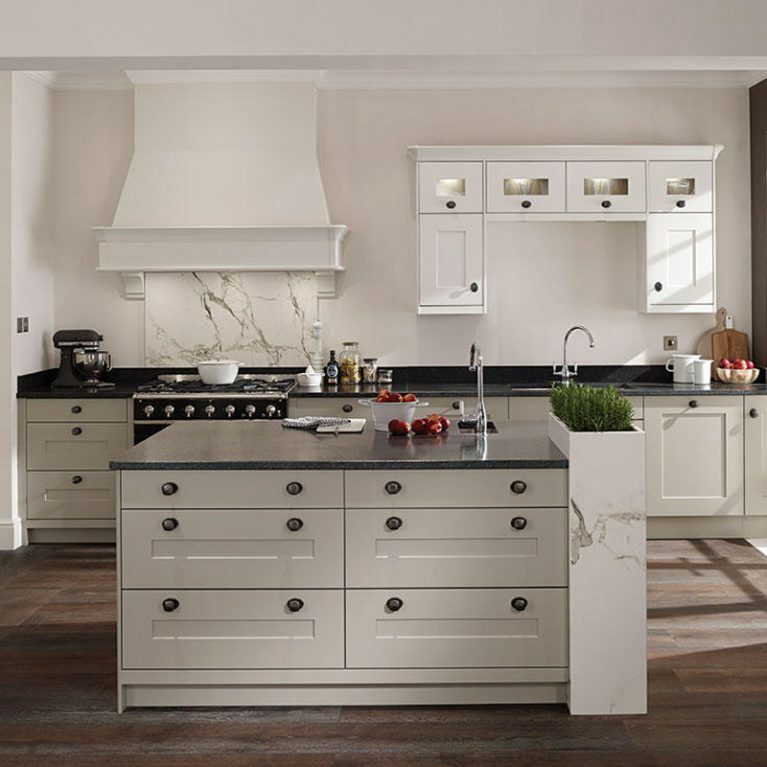 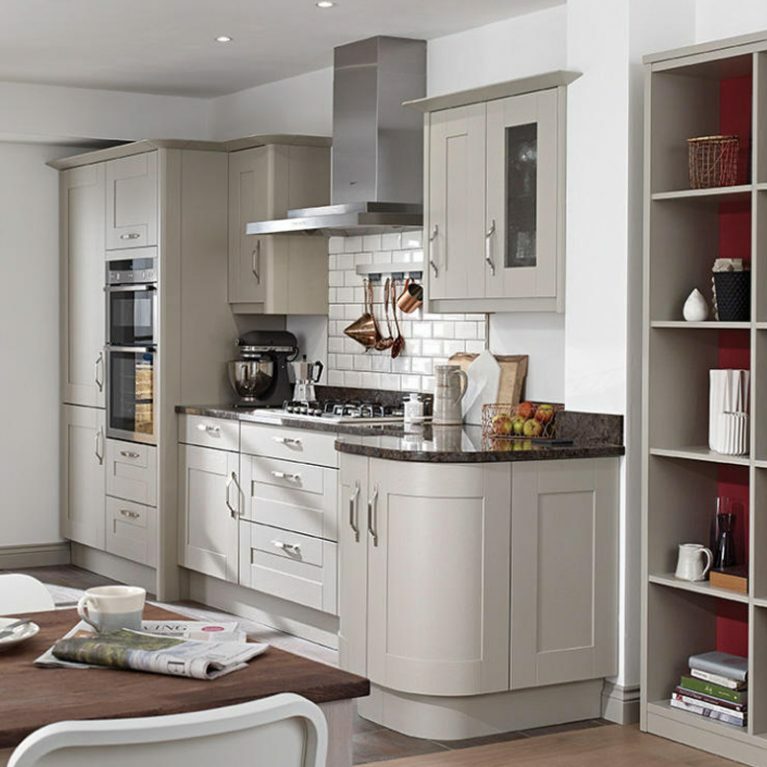 The Milbourne Sage offers a flawless finish which is aesthetically beautiful enough to stand out on its own, but versatile enough to compliment a host of other colours and finishes too. 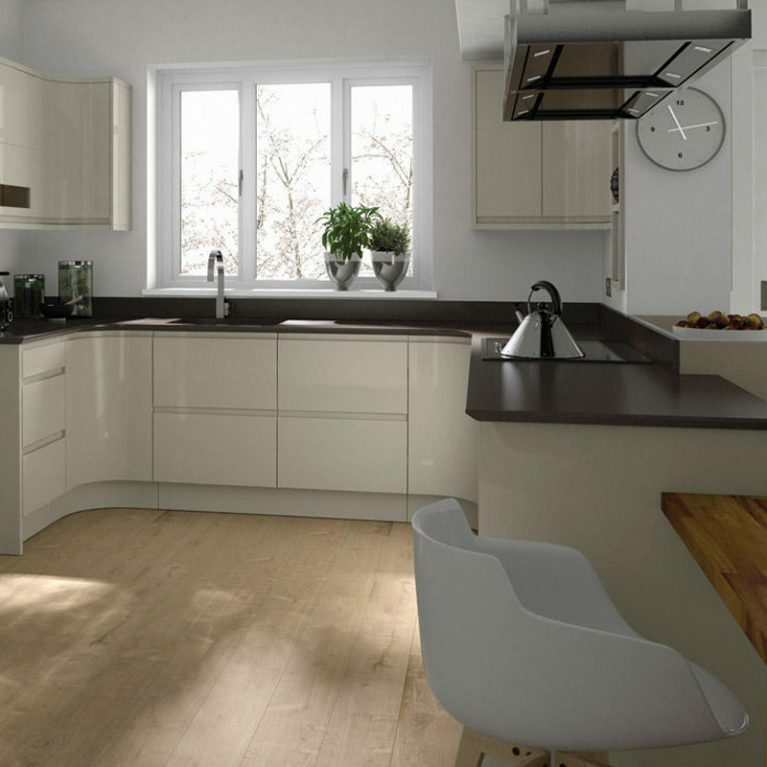 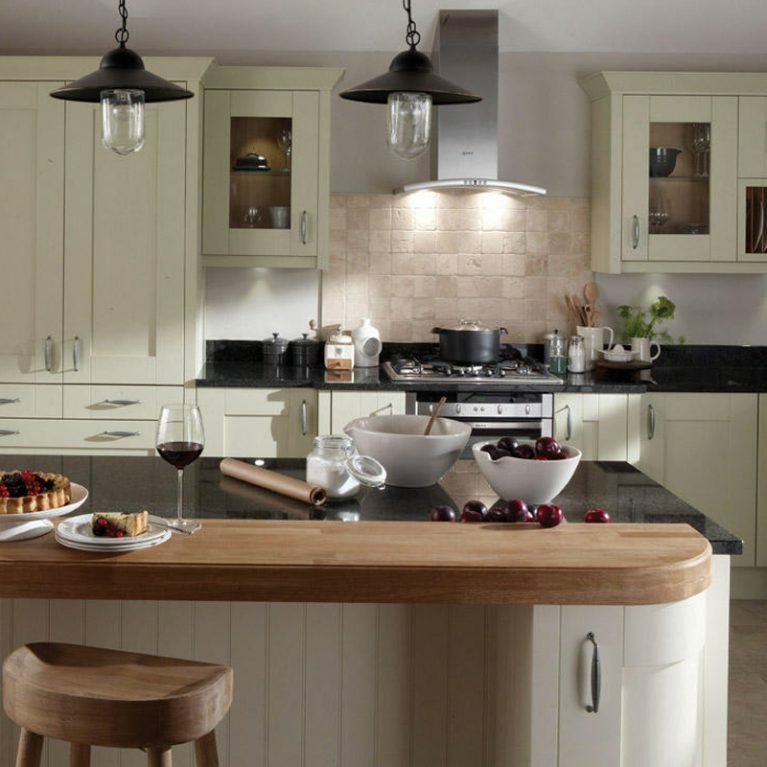 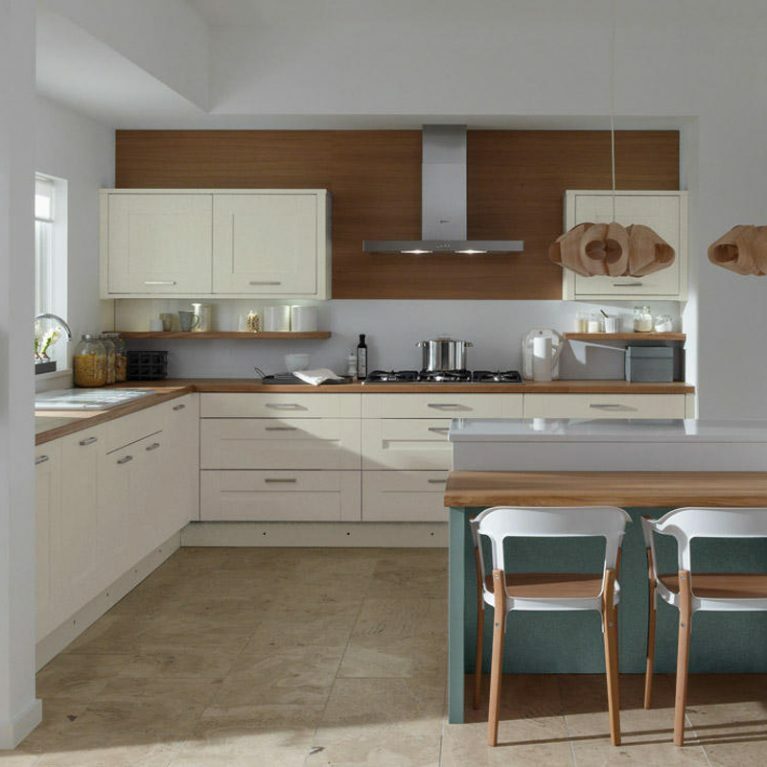 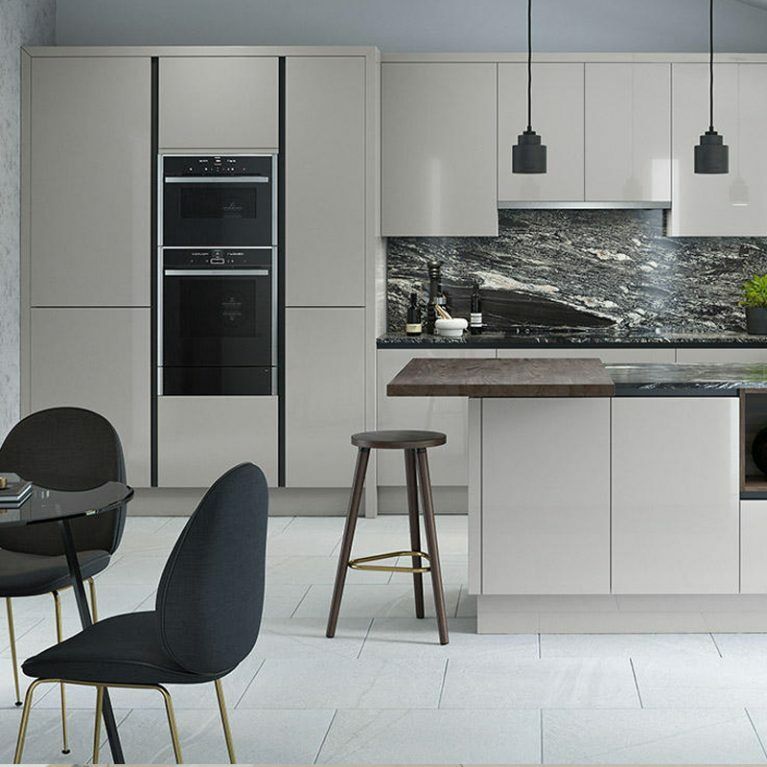 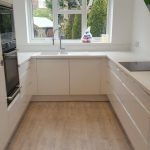 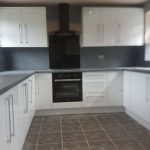 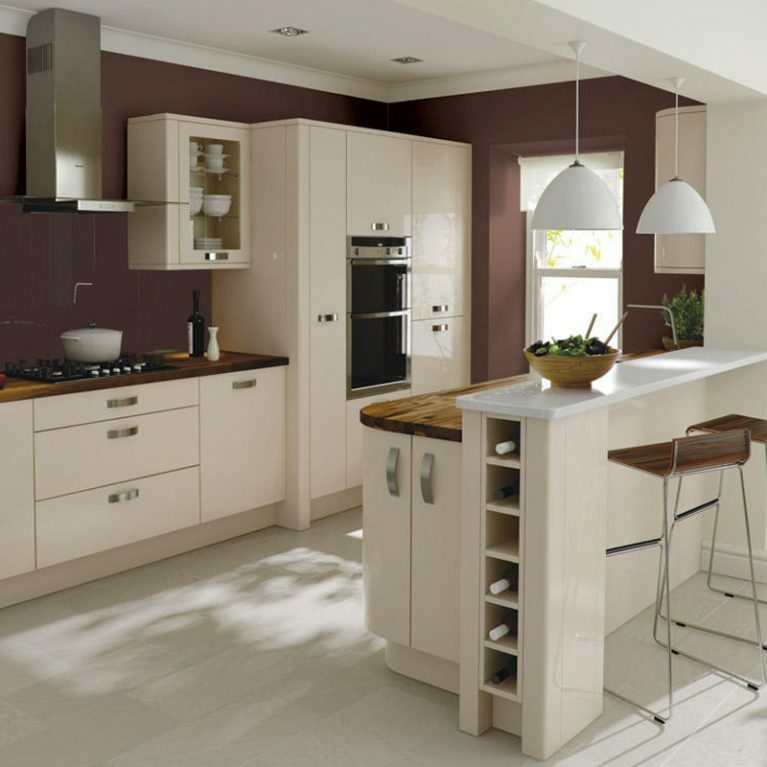 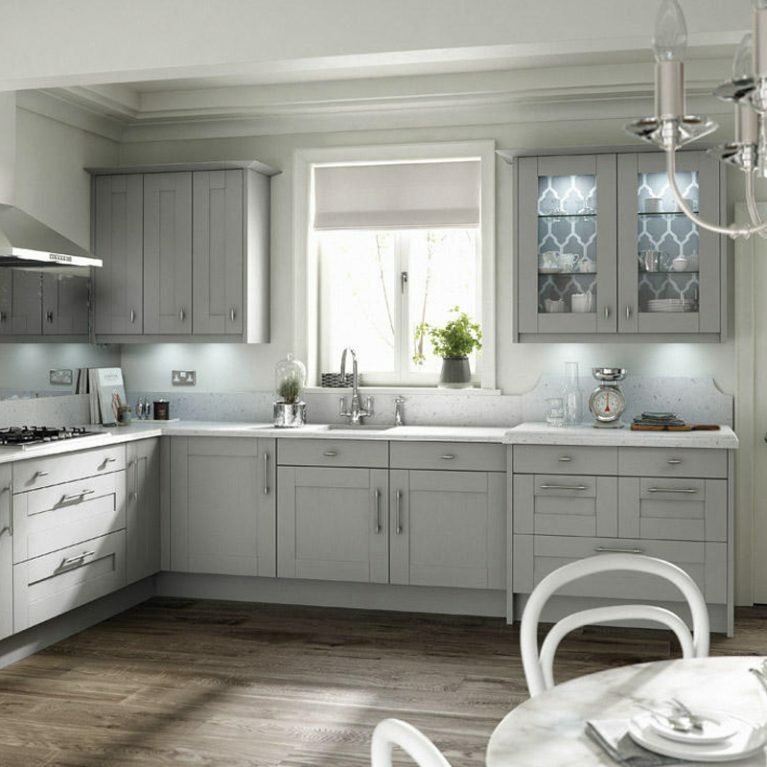 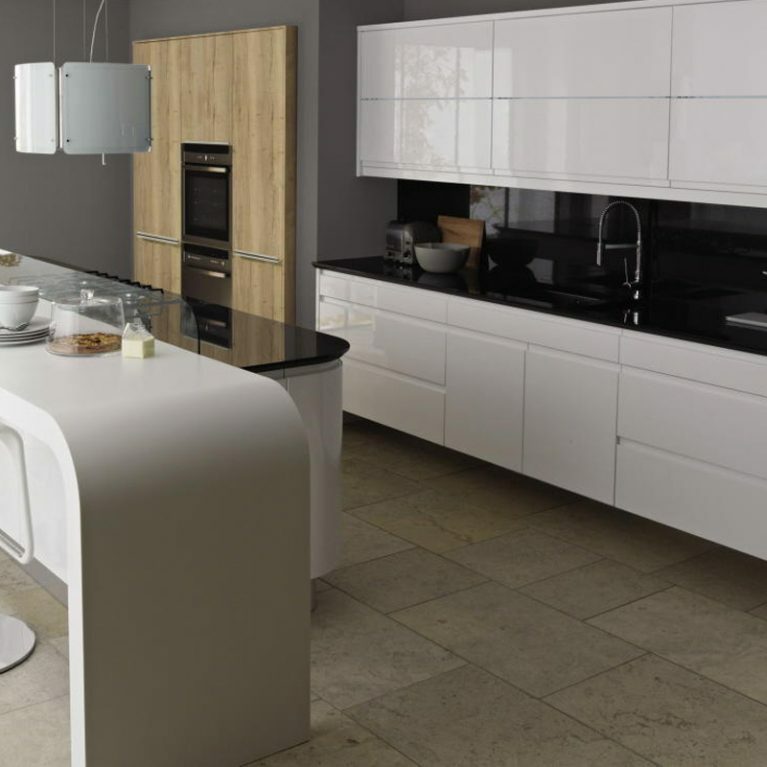 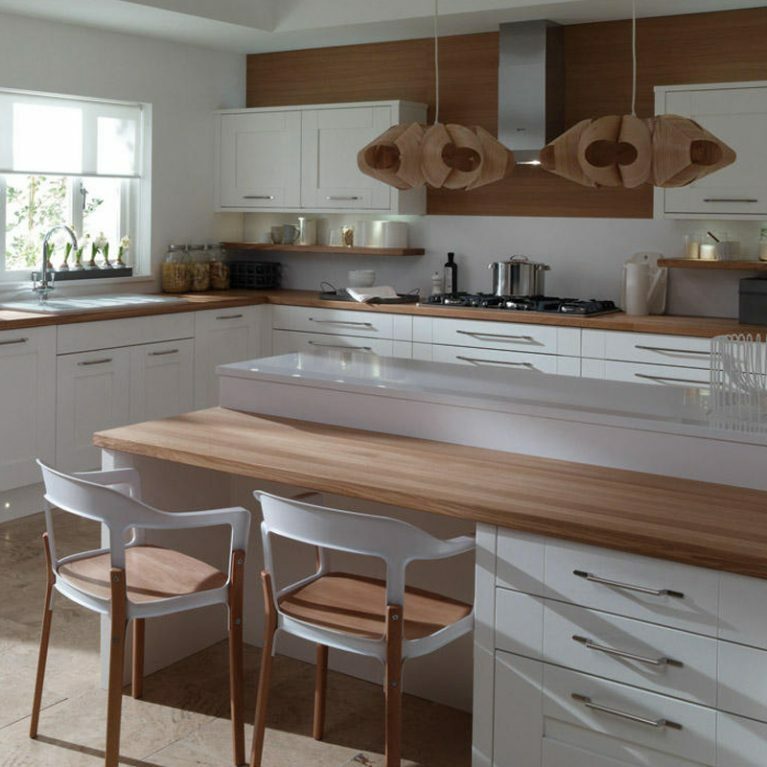 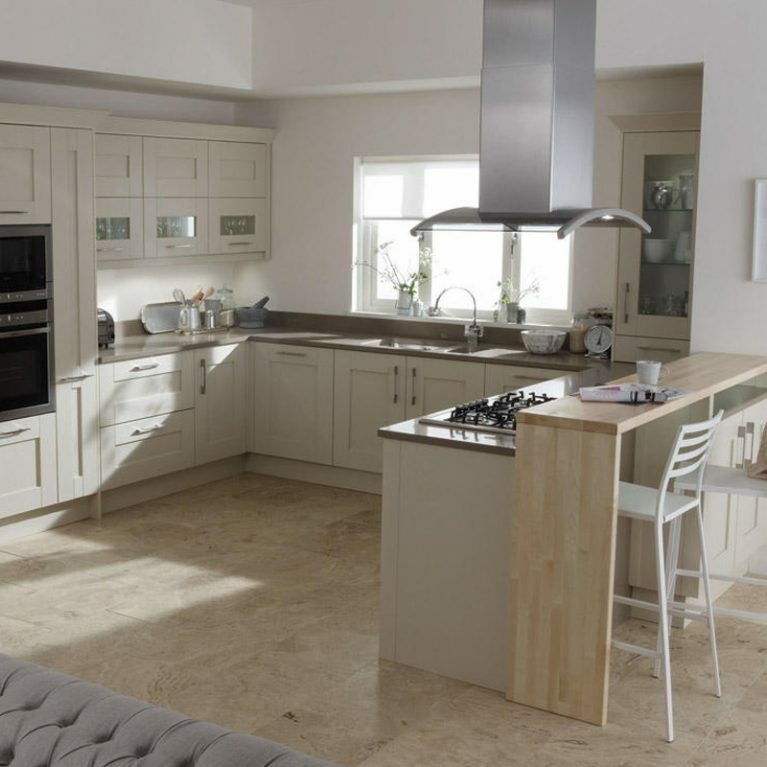 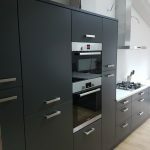 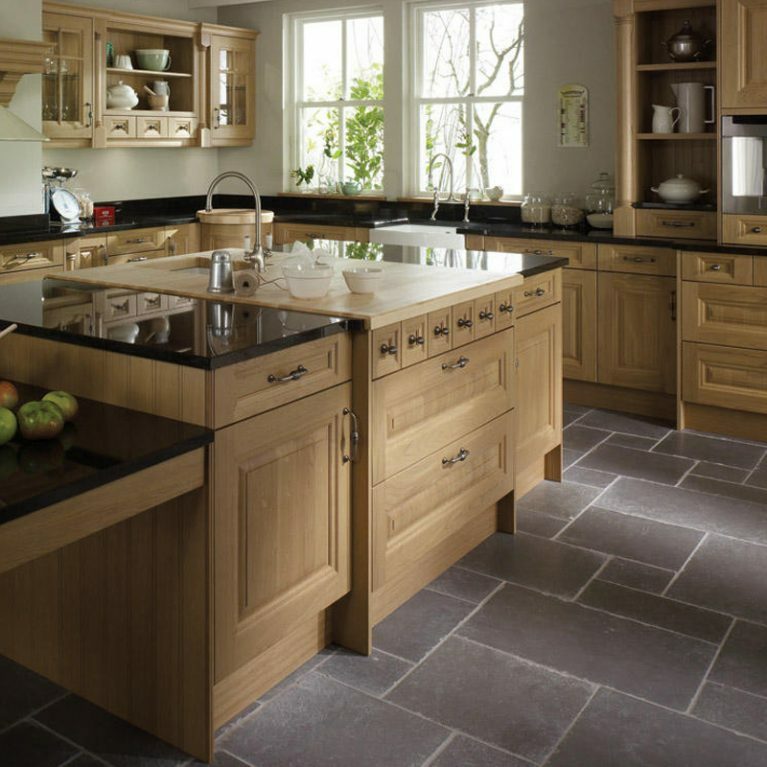 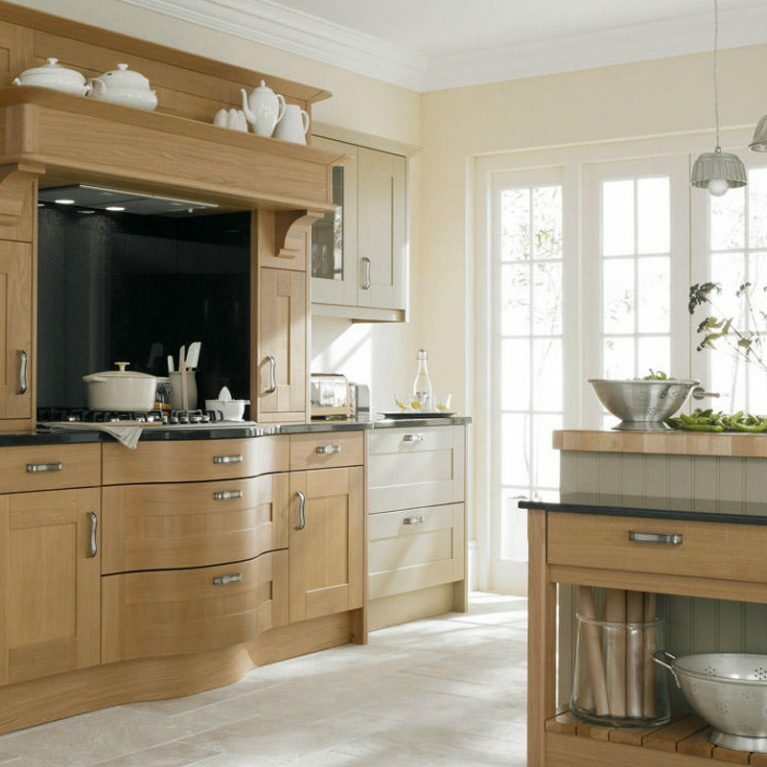 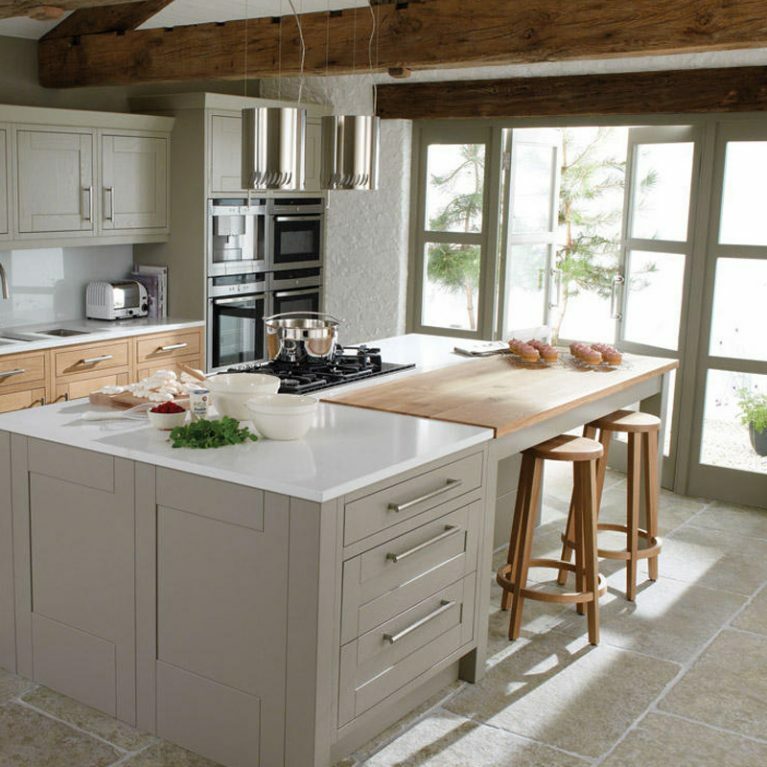 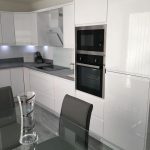 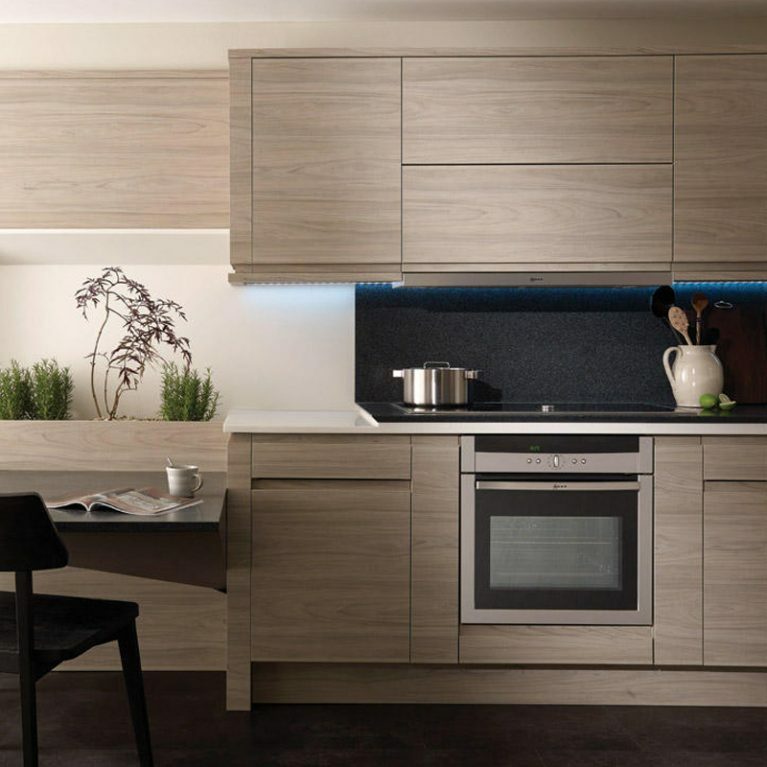 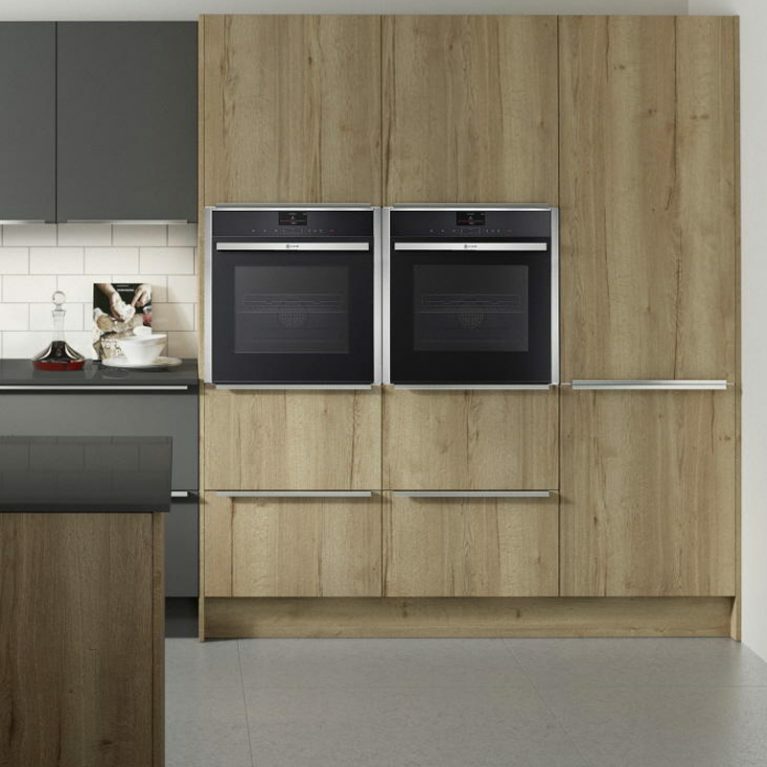 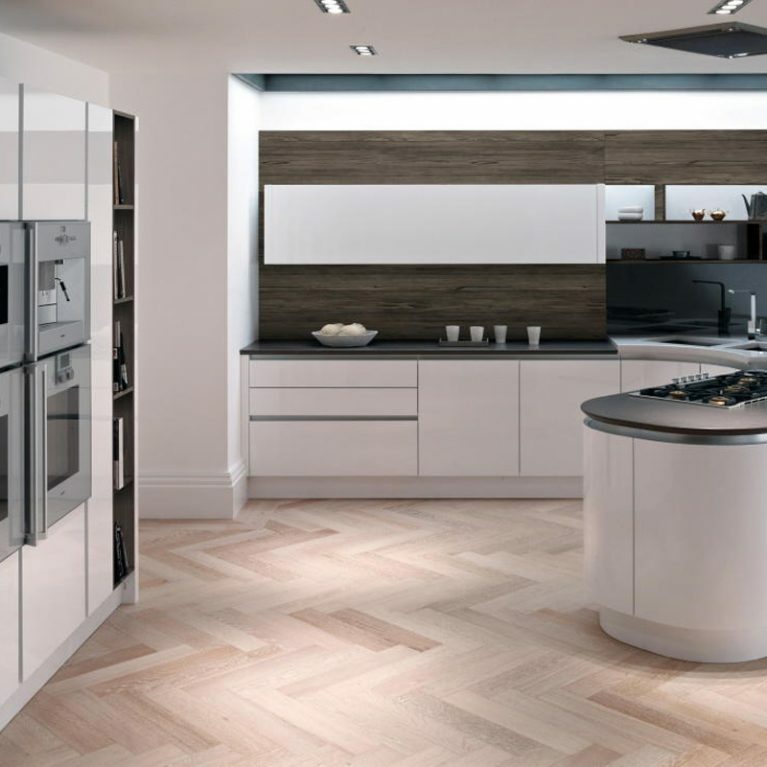 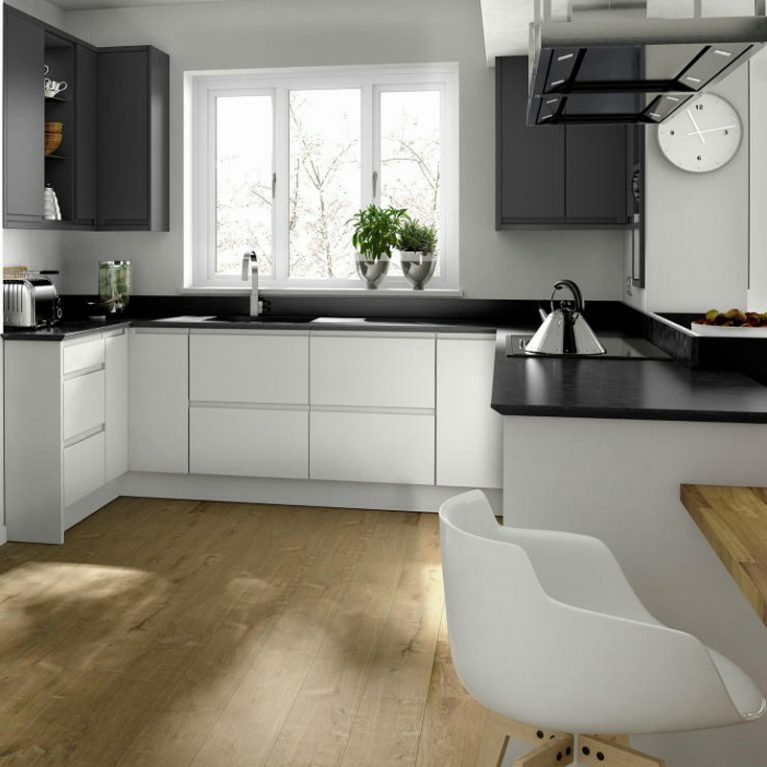 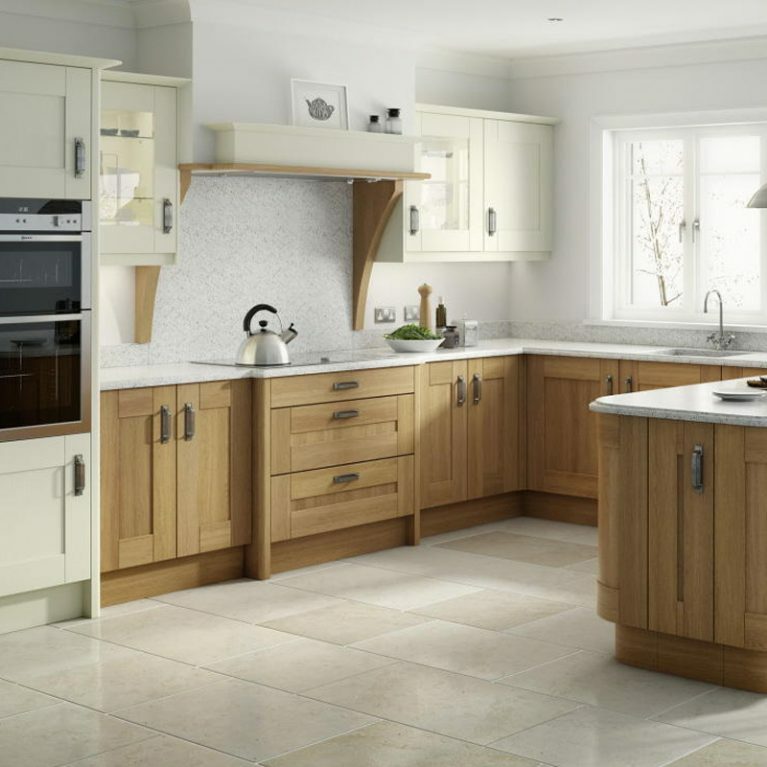 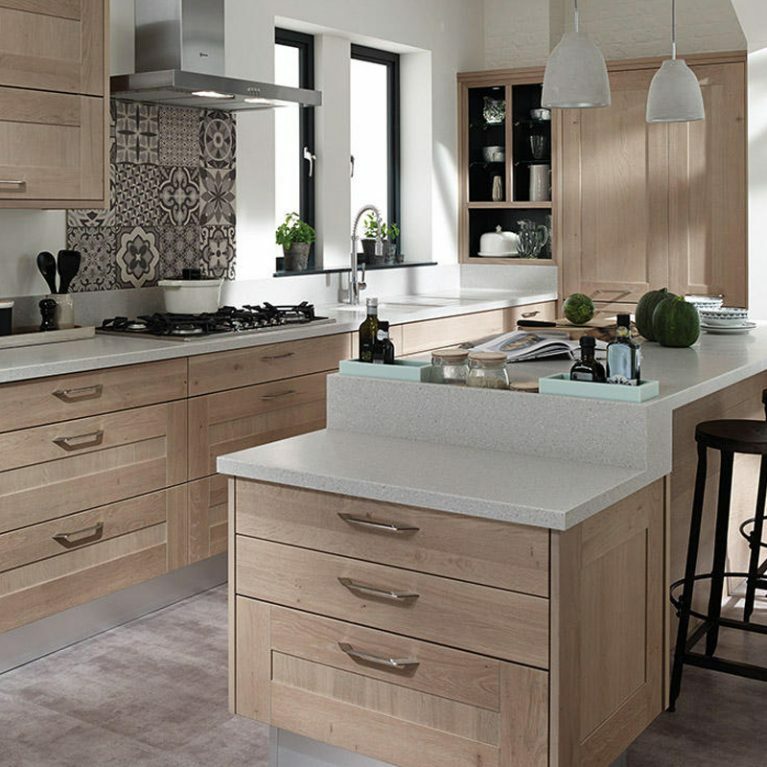 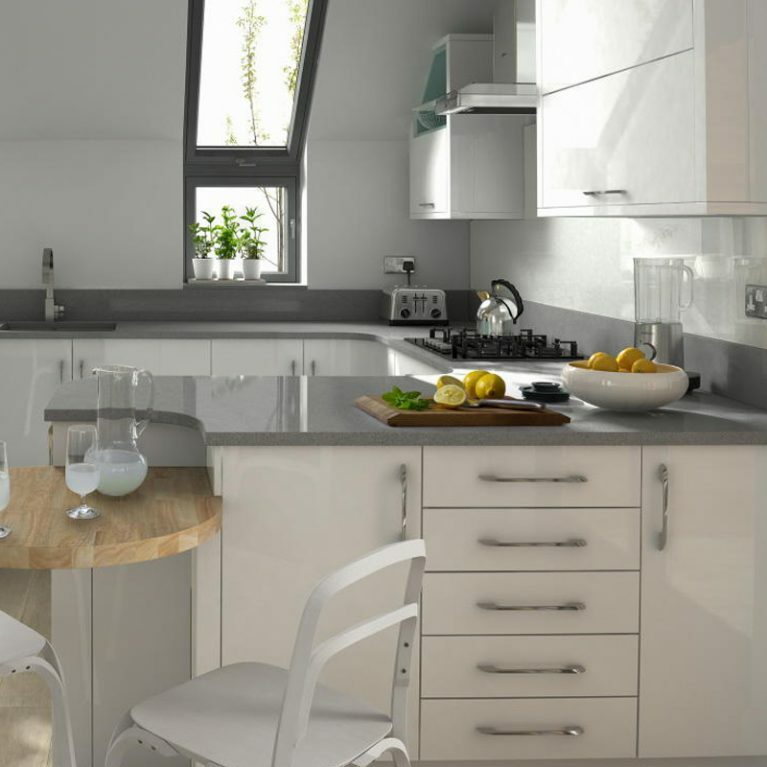 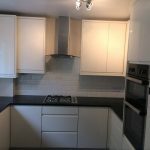 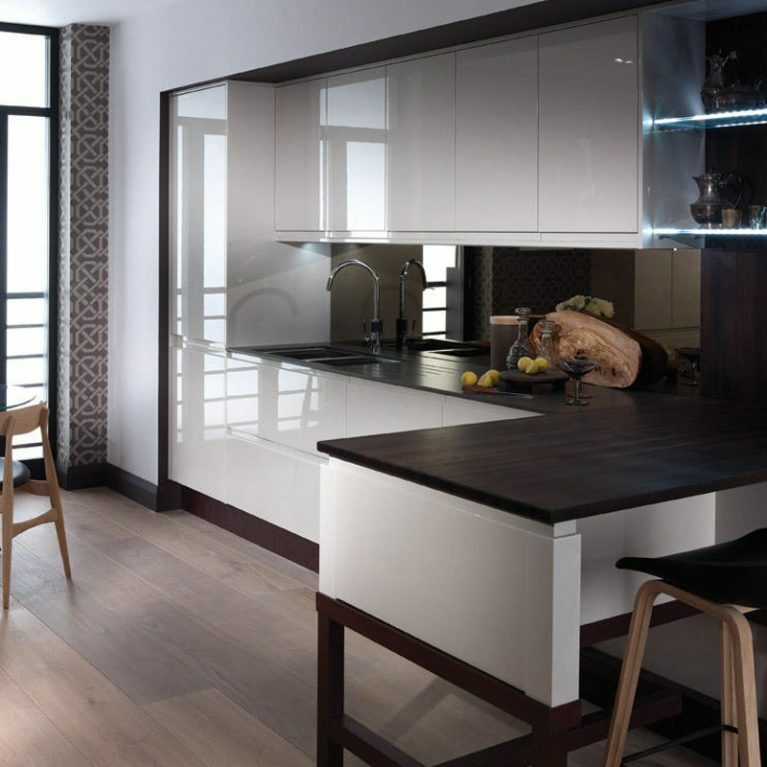 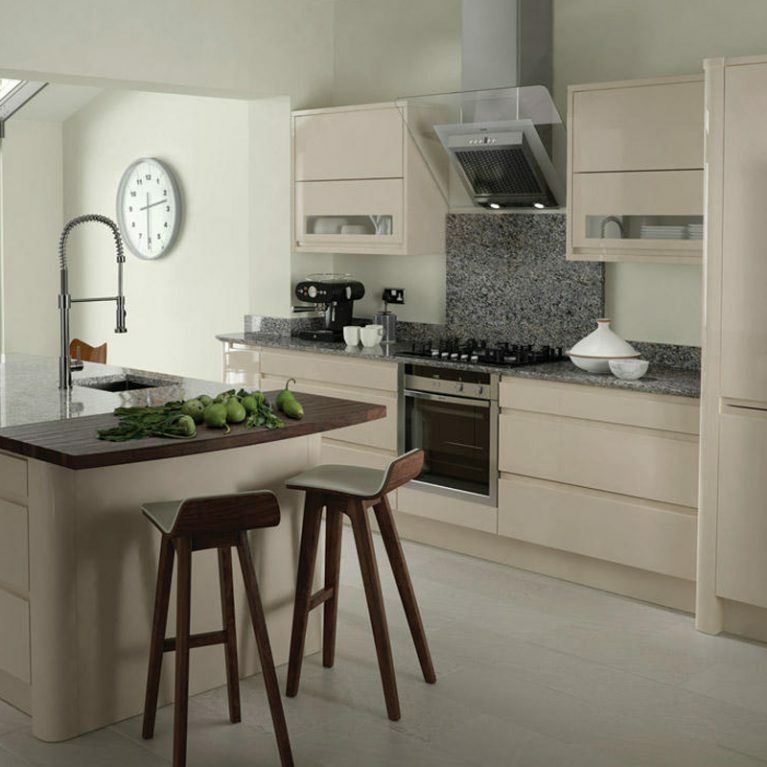 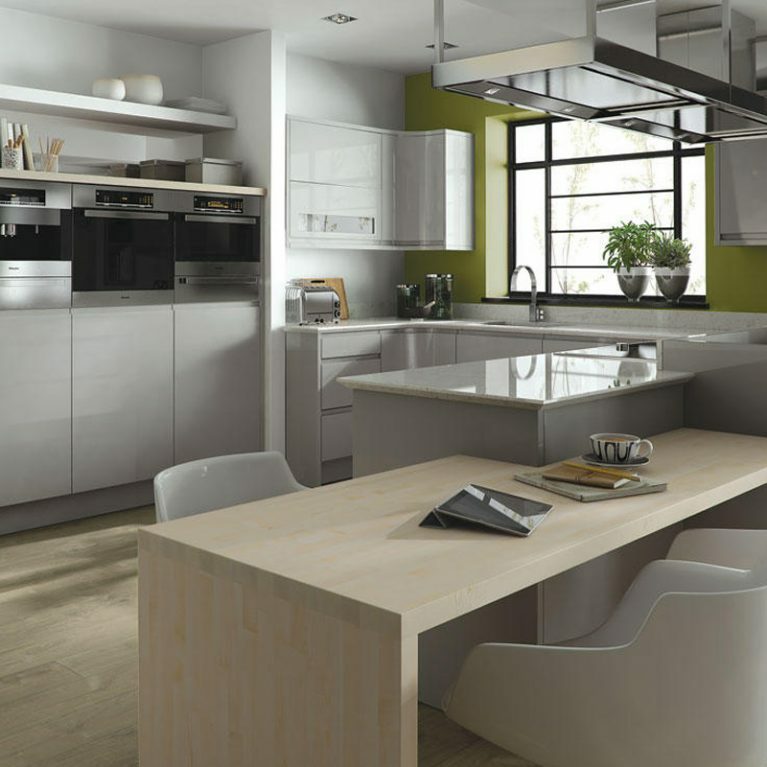 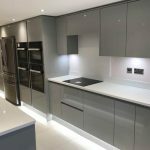 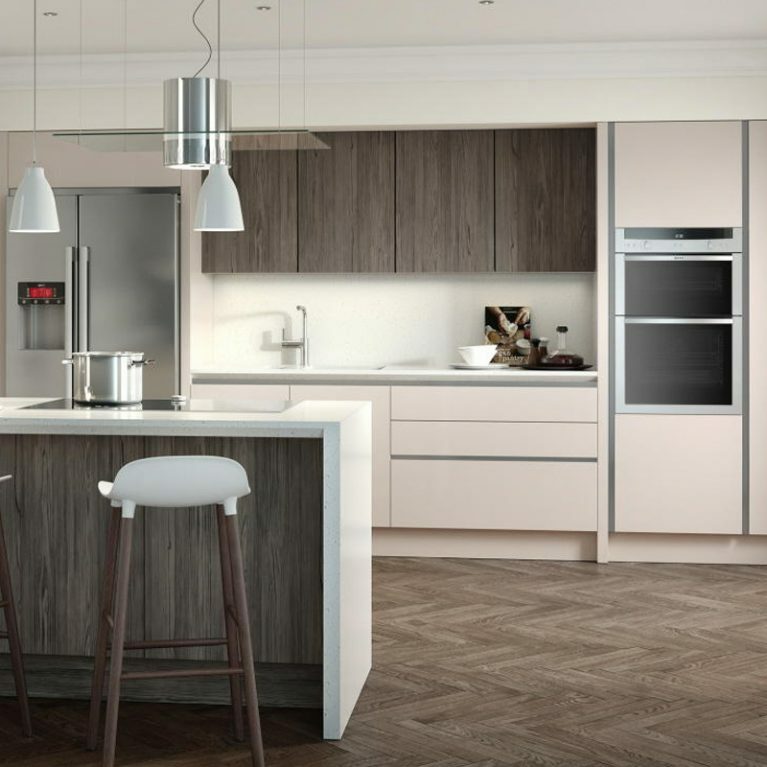 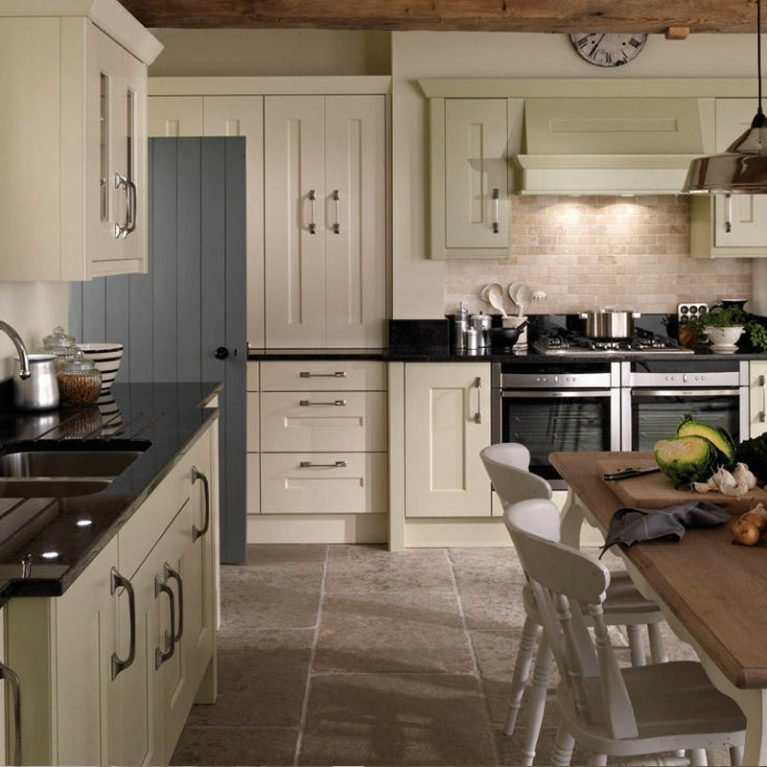 In fact, as with all Number One Kitchens’ kitchen designs, you have complete control over the design and finish of your Milbourne Sage kitchen. 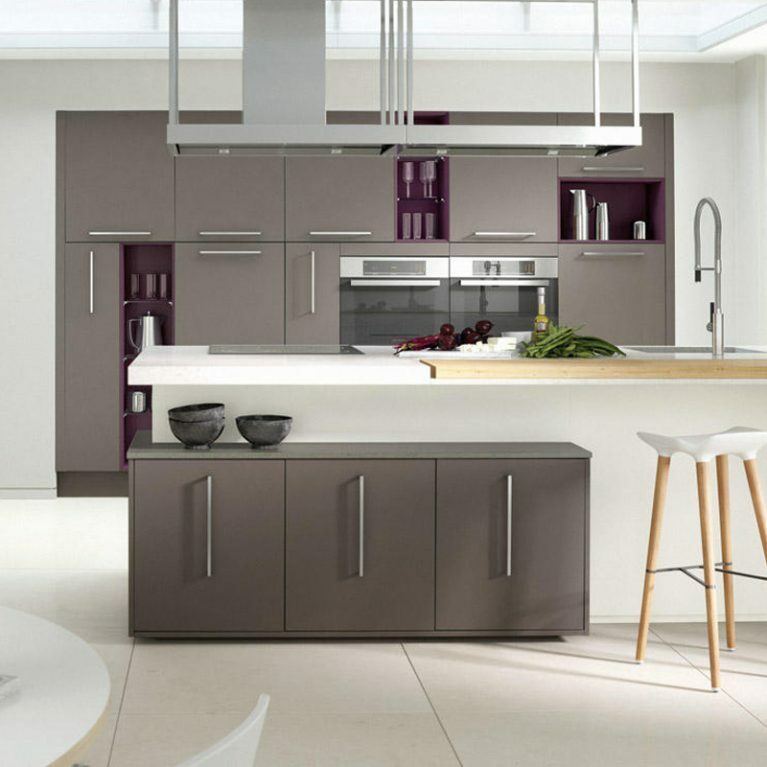 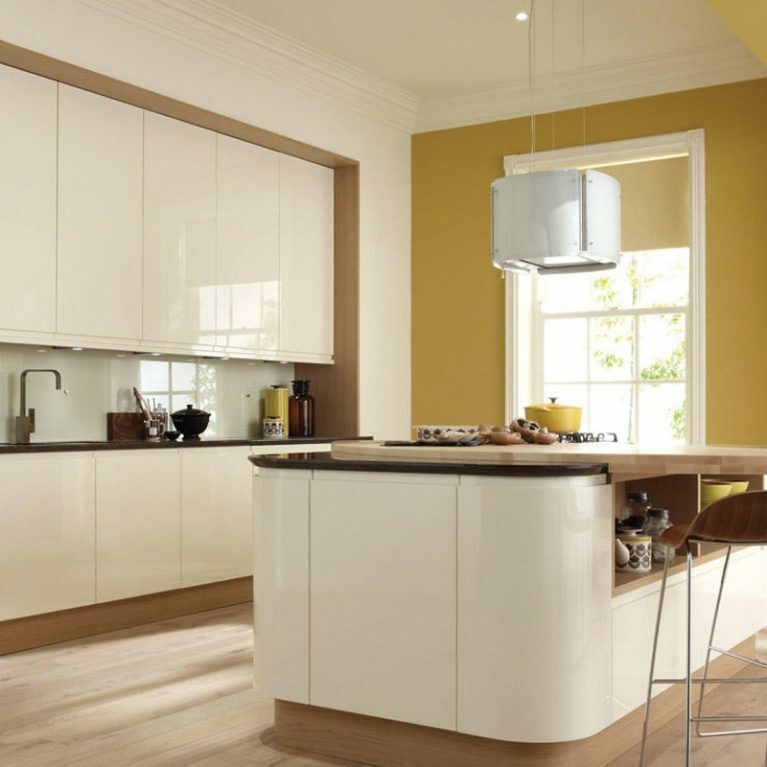 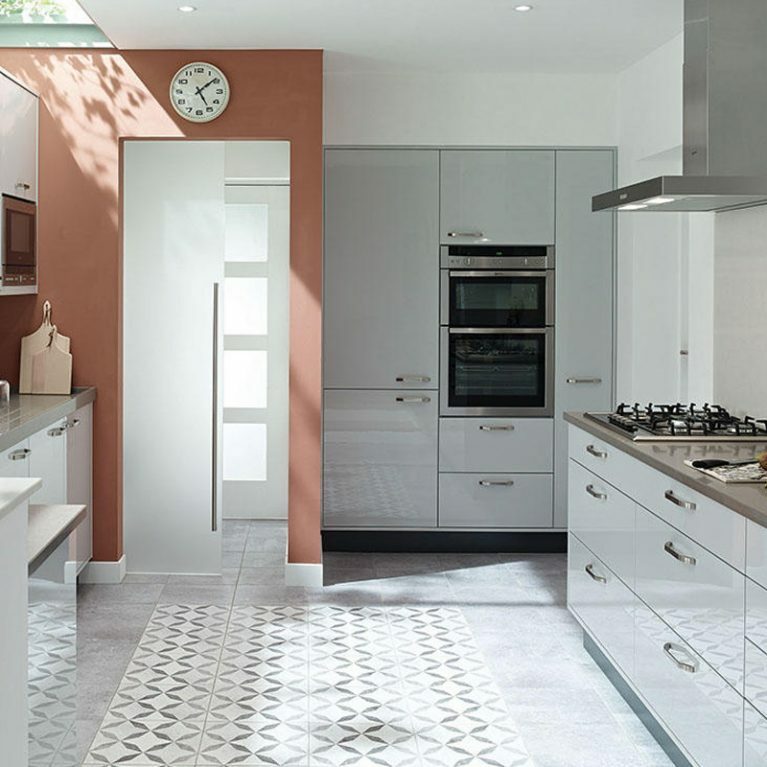 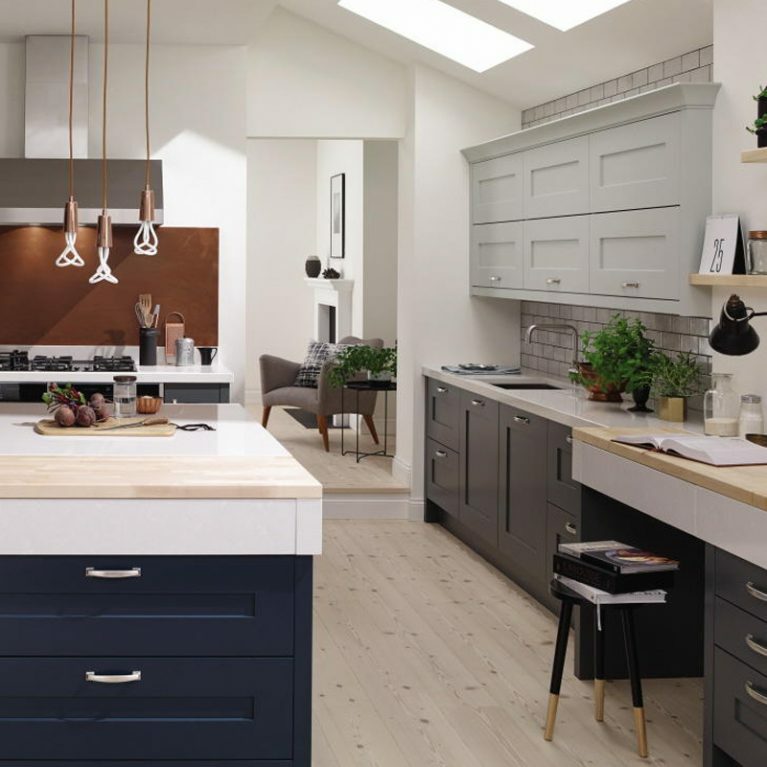 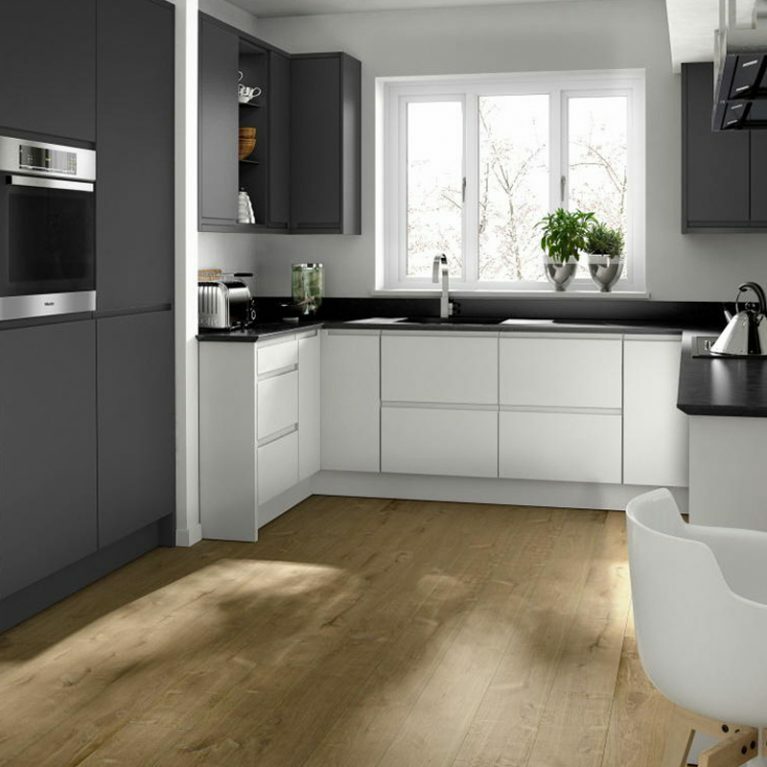 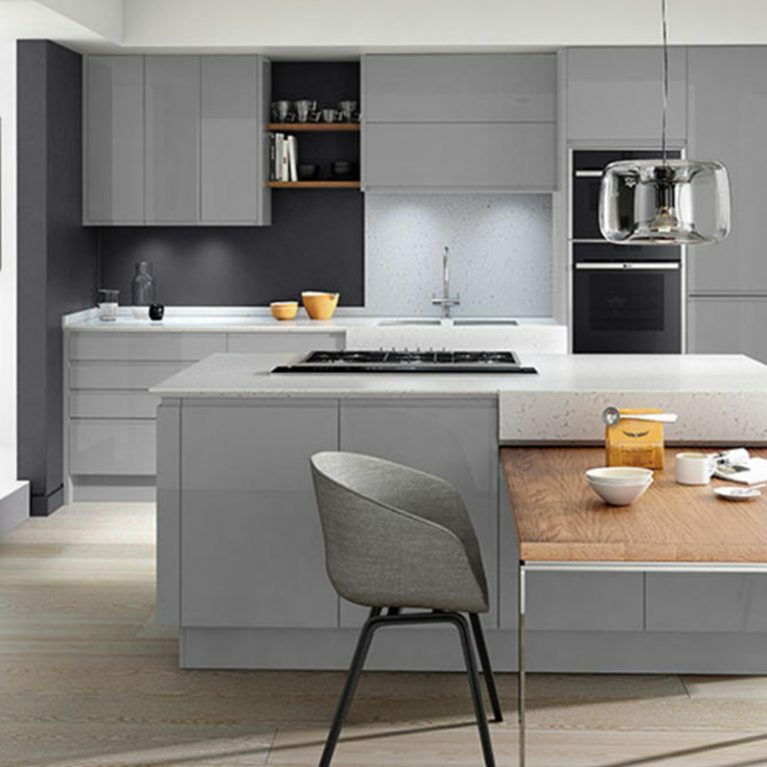 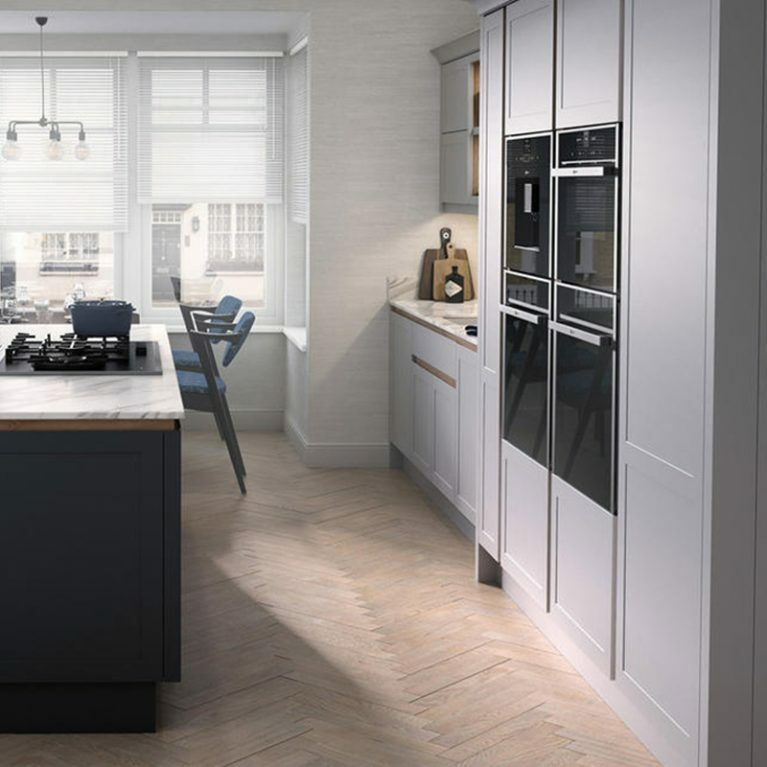 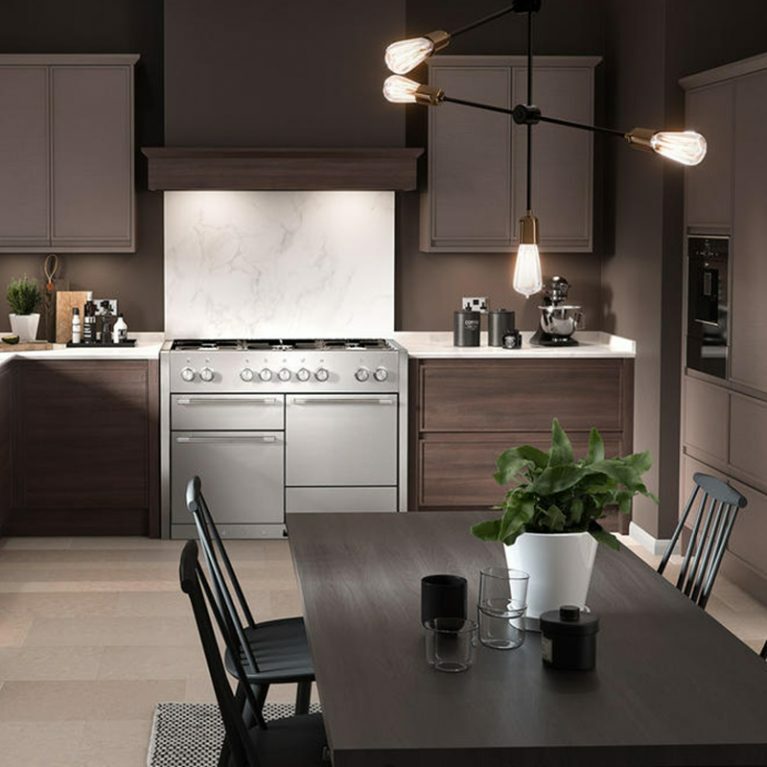 With 27 stunning matte paint shades to choose from, you can bring your dream kitchen to life, choosing your ultimate colour palette and design, before allowing Number One Kitchens make your visions happen. 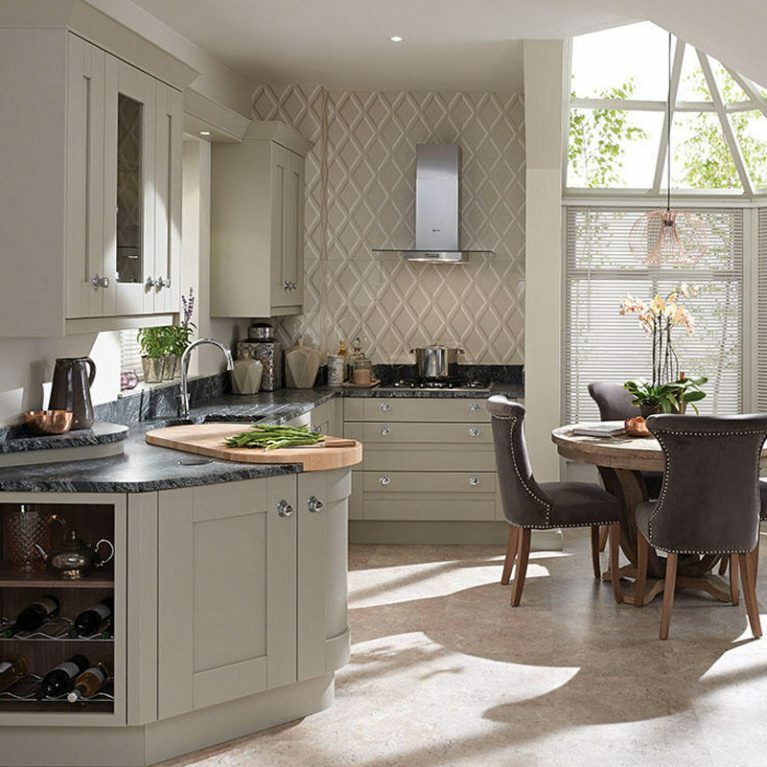 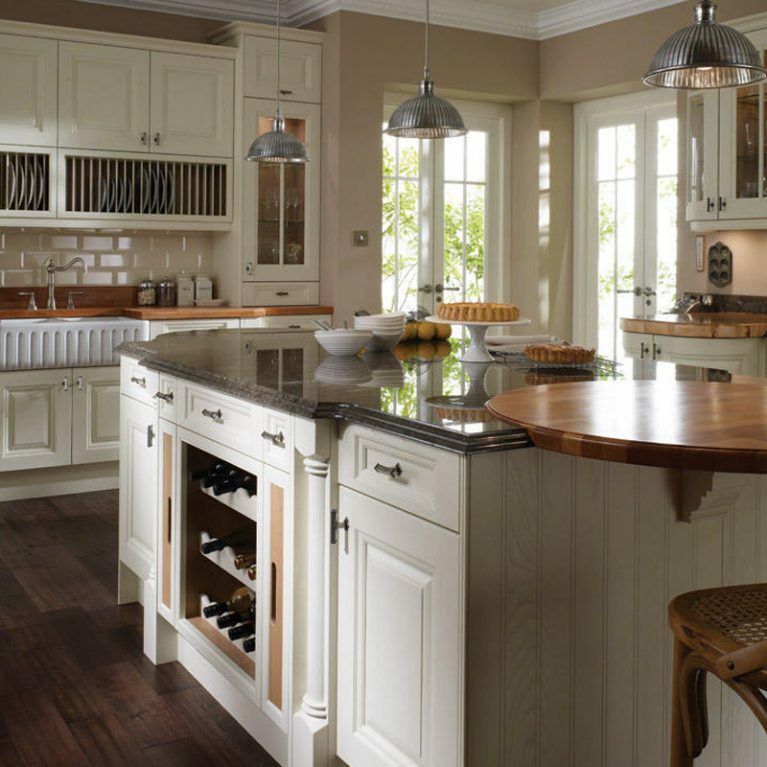 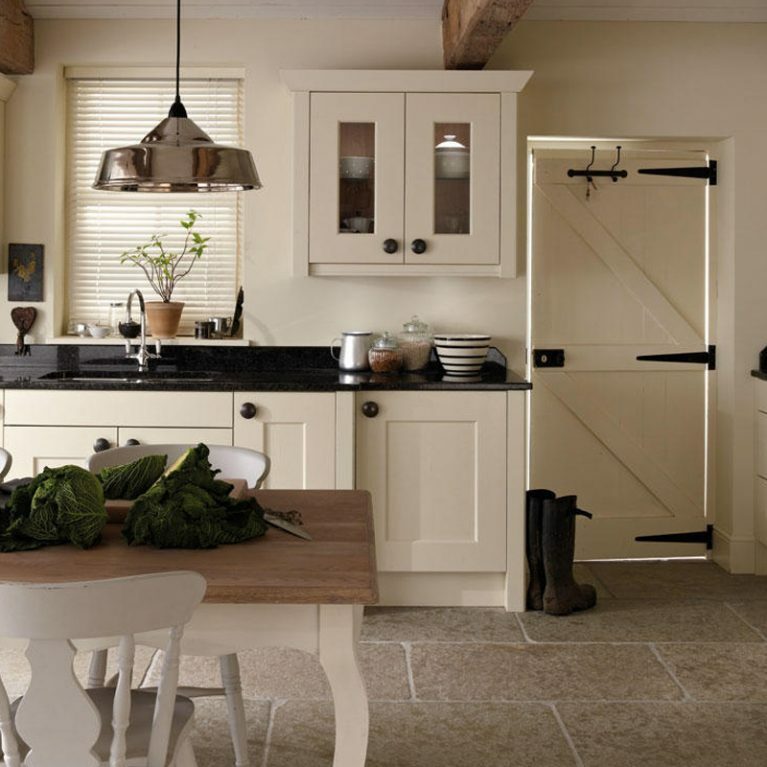 The Milbourne kitchen is a gorgeous shaker style kitchen which offers plentiful storage solutions for your home, with upper and lower kitchen cupboards, drawers and even a kitchen island, offering even more storage opportunities, as well as a remarkable surface for food preparation and entertaining too. 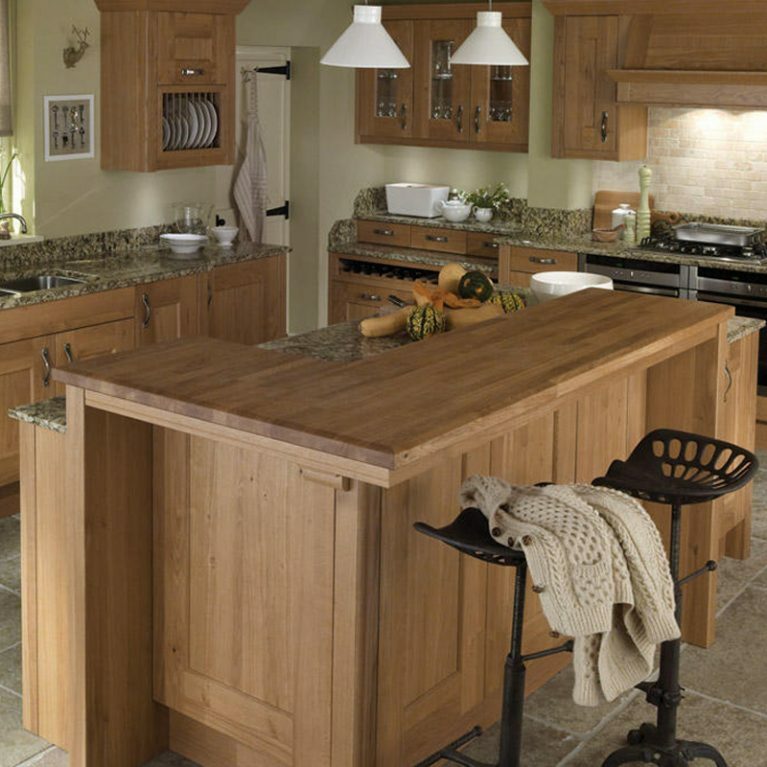 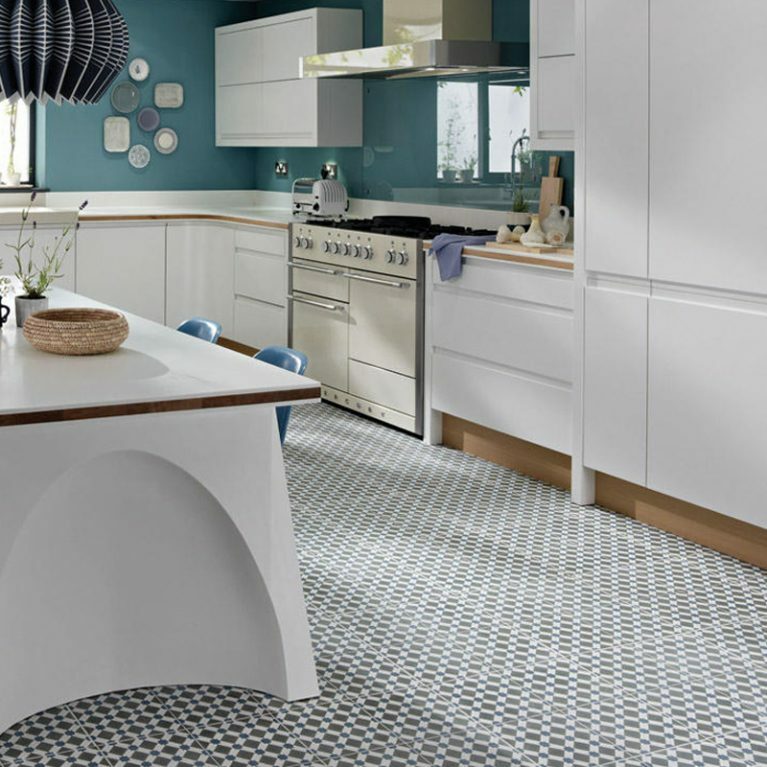 Kitchen islands are a fantastic feature in modern kitchens, with the gorgeous peninsula at work here creating a wonderful space for you to finish with stools to create a lounging and dining area within your kitchen design. 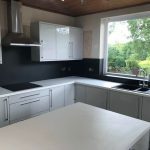 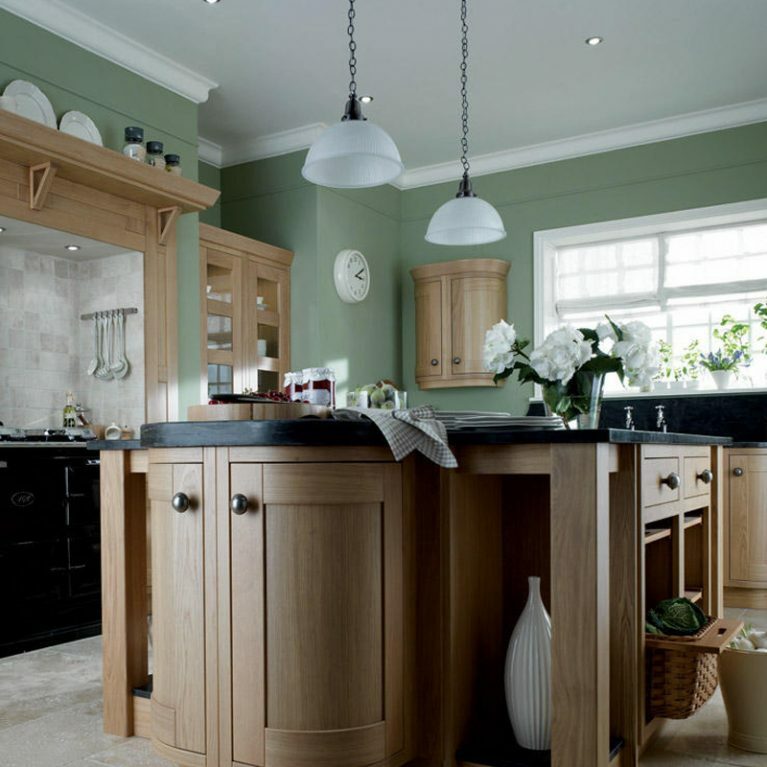 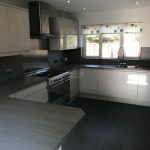 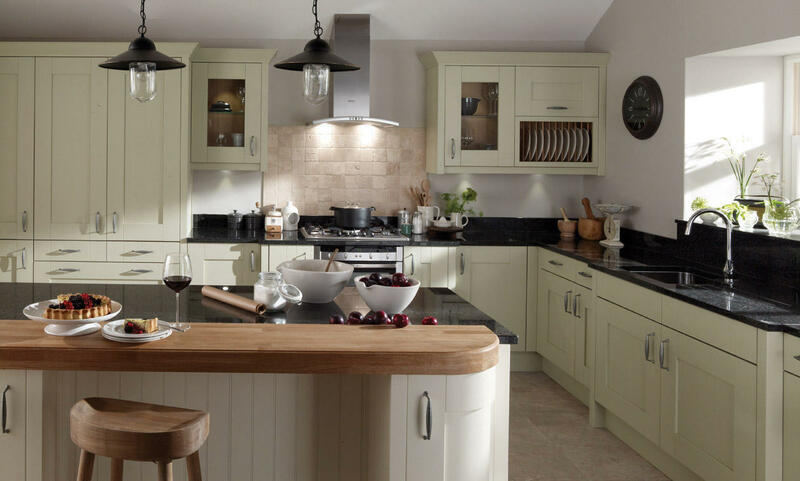 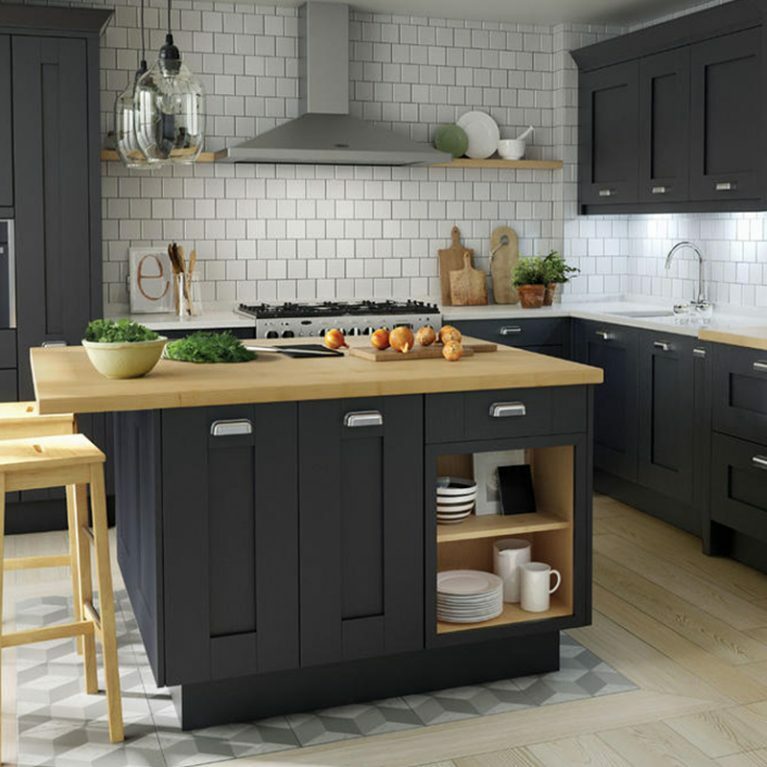 Black work surfaces are showcased in the pictures here, offering a wonderful contrast to the green shade of the Milbourne Sage classic painted kitchen. 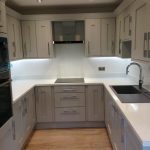 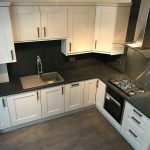 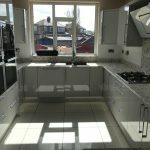 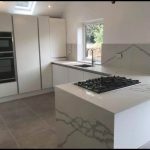 You can choose a work surface style which suits your needs, accessorising your kitchen to perfection. 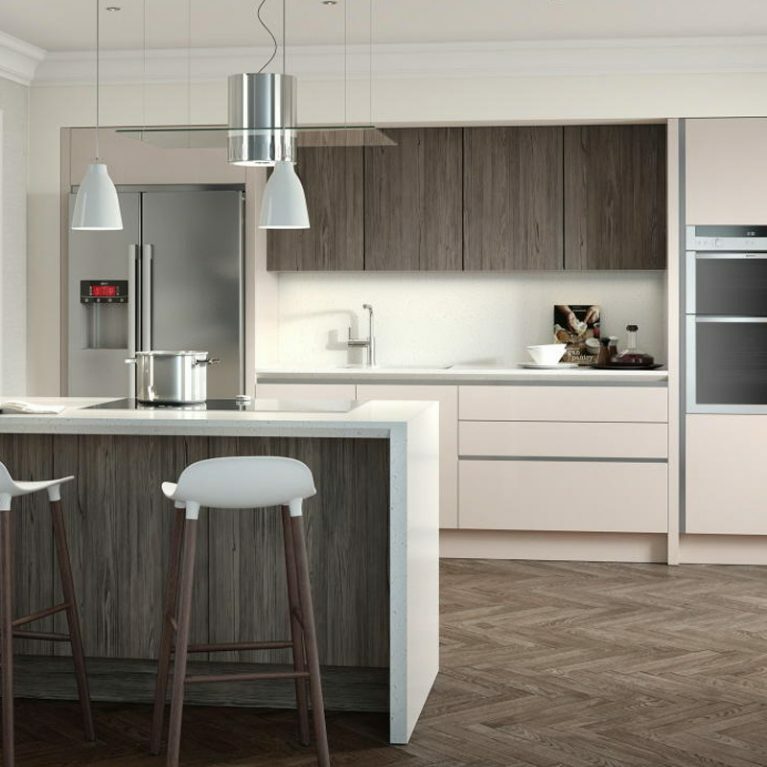 This kitchen is finished with beautiful transparent cupboard doors that show off your favourite kitchen accessories in a fabulous feature fashion. 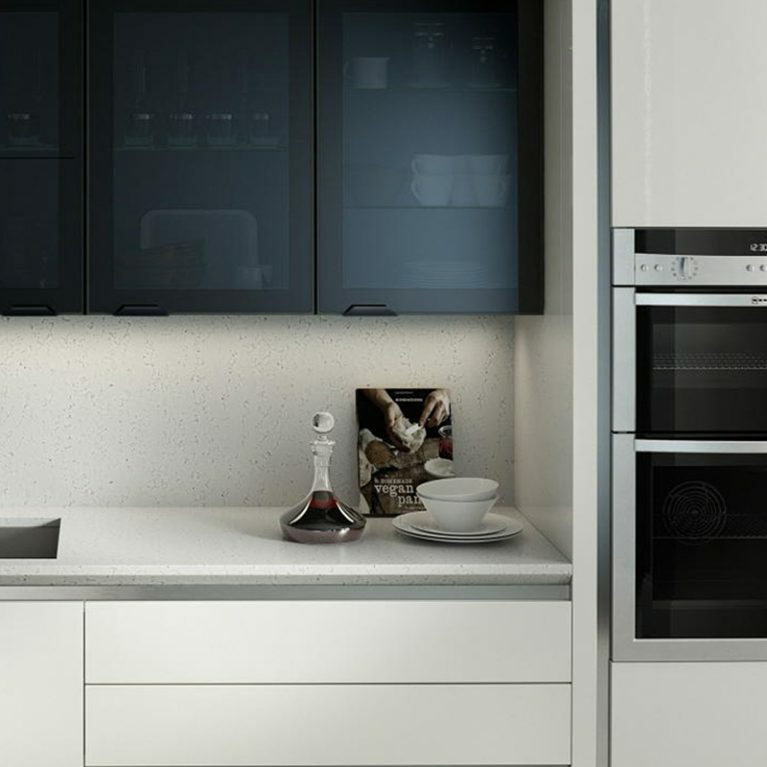 There’s an open dish rack too, offering extra storage in a seamless manner.